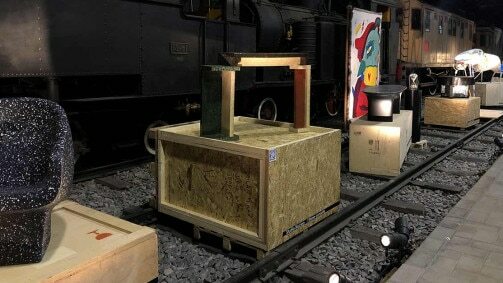 It was the last evening of Milan Fashion Week, on February 25, 2019, and the heart of the city was pulsating with excitement as top chefs, food industry experts, aspiring talents and influential figures of both the gastronomy and fashion world descended on the staircase of the city’s Royal Palace, in attendance of S.Pellegrino’s 120 Year Anniversary Dinner event. 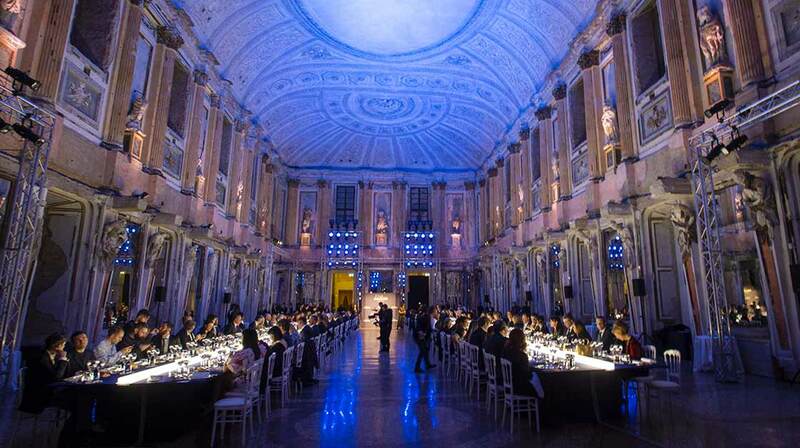 Held in collaboration with the National Chamber of Italian Fashion, the Camera Della Moda, S.Pellegrino’s 120 Year Anniversary Dinner was a star-studded affair with celebrity chefs such Davide Oldani, Carlo Cracco and Moreno Cedroni taking their seats set in the historical Sala delle Cariatidi. The exceptional setting was perfect for the occasion of celebrating S.Pellegrino’s monumental 120 year story, and served as a moment to highlight S.Pellegrino’s strong connection with the fine dining world, especially its belief in supporting young talent in gastronomy. 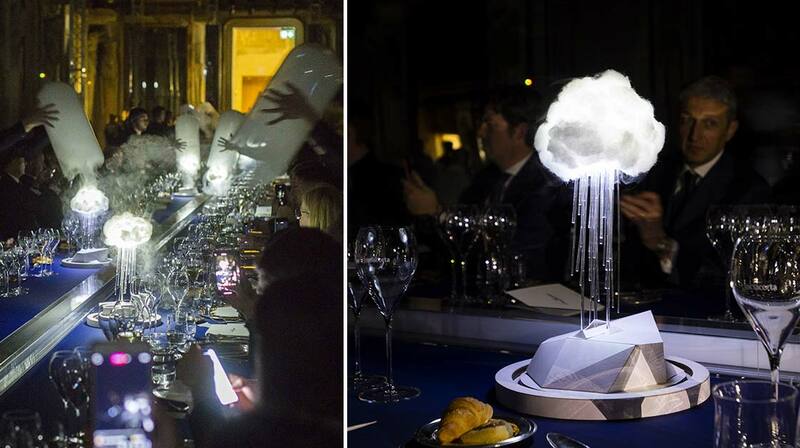 Each course of the night was designed to encapsulate a different chapter in S.Pellegrino’s 120 year-old story, with lights, music and theatrical effects accompanying the dishes, providing guests a full immersion experience in the history of the iconic Italian sparkling water. As guests arrived, the kitchen was a hive of activity as young chefs Elisabeth Puquio Landeo (S.Pellegrino Young Chef 2018 South America finalist), Yasuhiro Fujio (Winner of S.Pellegrino Young Chef 2018) were joined by chef Paolo Griffa (also previous finalist, Italy, S.Pellegrino Young Chef 2015) to prepare the four-course meal for the evening. 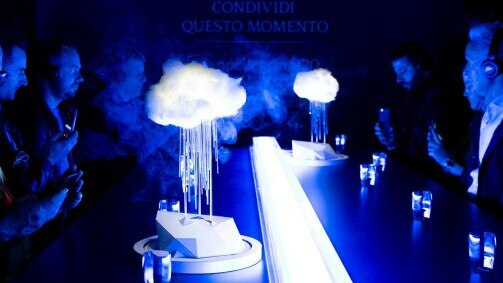 Starting with Chapter 1, nature, the room was illuminated with cloud-like artworks shrouded in a white misty haze in glass domes on the tables, in a representation of the beginnings of water that starts from the natural cycle of rain, clouds and the earth. 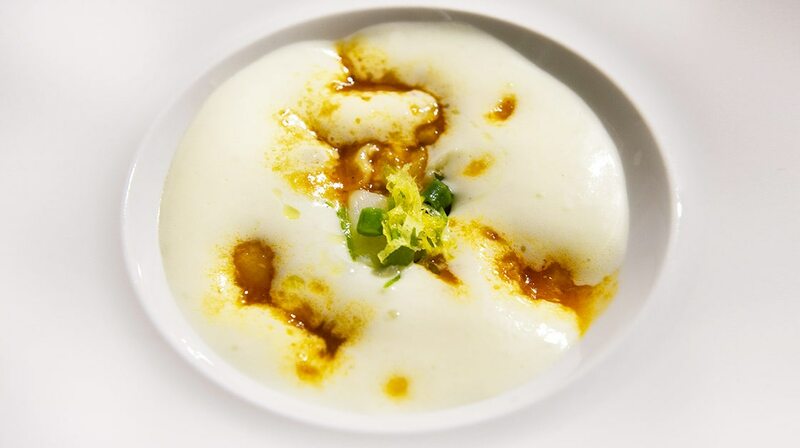 Meanwhile, young chef Landeo’s dish of candied white cod dish with smoked potato foam, a light starter that captured the essence of the nature theme, started the guests on their gastronomical tour. Moving onto Chapter 2, the scene was set for the origins of S.Pellegrino: its story that began in 1899, at San Pellegrino Terme and the magical Casino that collected the cream of society of the times. 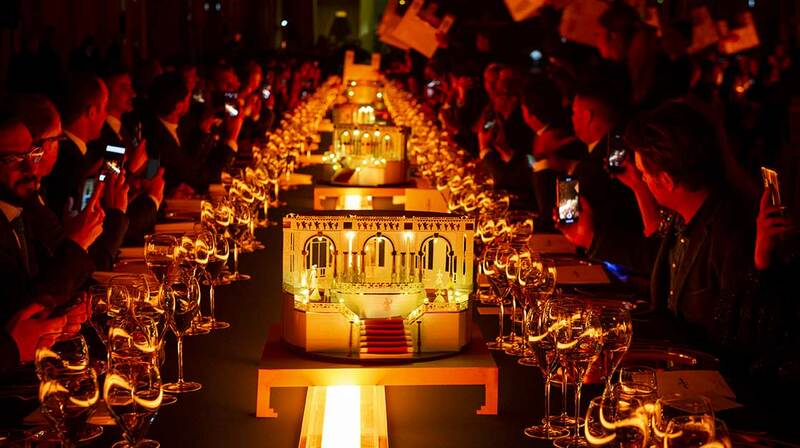 And they were at the dinner in spirit, as reconstructed Casino structures appeared on the tables, giving guests a peek into S.Pellegrino’s enchanting rise in the Italian culture. 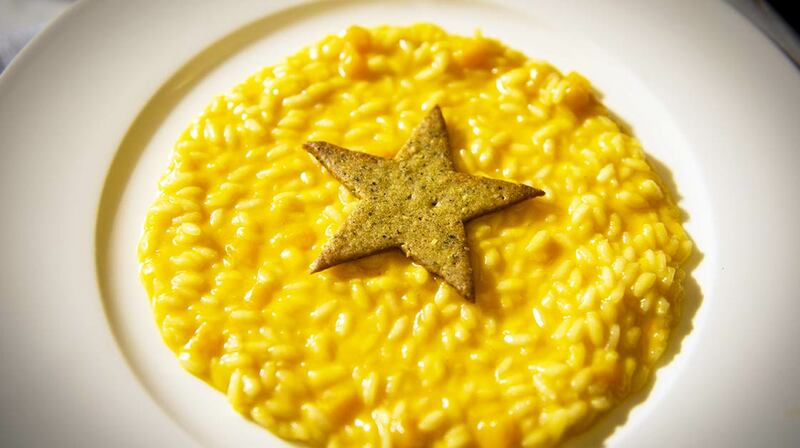 Chef Paolo Griffa prepared a pumpkin risotto with robiola cheese, topped with a waffle and amaretto crumble shaped into the star of S.Pellegrino. An Italian dish for the brand’s Italian roots. With the main course, Chapter 3, the evening took on an international air as S.Pellegrino celebrated the brand’s expansion onto the global stage. From Moscow to New York, Paris, Shanghai and Sydney, S.Pellegrino is synonymous with Italian elegance, style and a way of living. 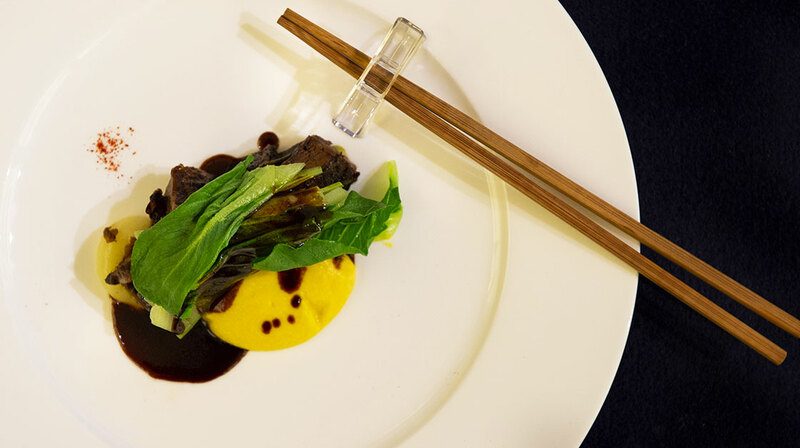 While guests were treated to a theatrical presentation of moving city shapes that travelled all along the length of the tables, from the kitchen young chef Yasuhiro Fujio presented a brisket with soy sauce, yellow carrot with yuzu and pac choi, a dish with global fair, that resonated with S.Pellegrino’s international audience. 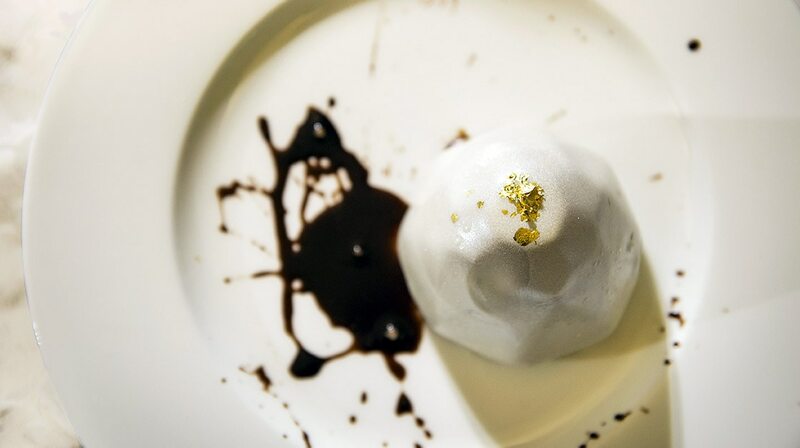 Dessert, Chapter 4, was sparkling in all senses – in the diamond-shaped gianduiotto on the dish, as well as the reveal of the diamond-surfaced 120 Year Limited Diamond Edition Bottle. 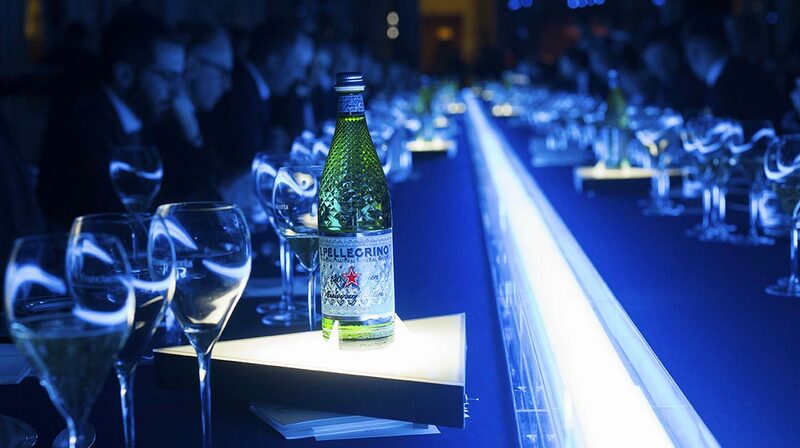 It was the first time the special Limited Edition Bottle was shown to the public, a bottle specially designed to embody the values of S.Pellegrino such as timelessness, beauty and authenticity. Celebrating 120 years, with the world, in all their best moments. 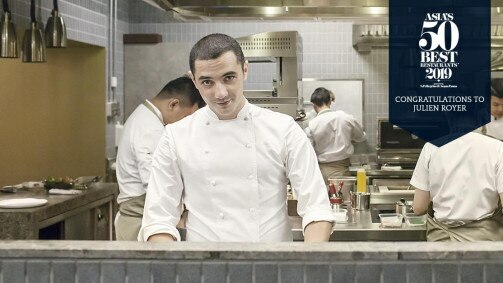 Supporting young talents to help guide the future of gastronomy. And hand-in-hand with the important protagonists of the fine dining world. 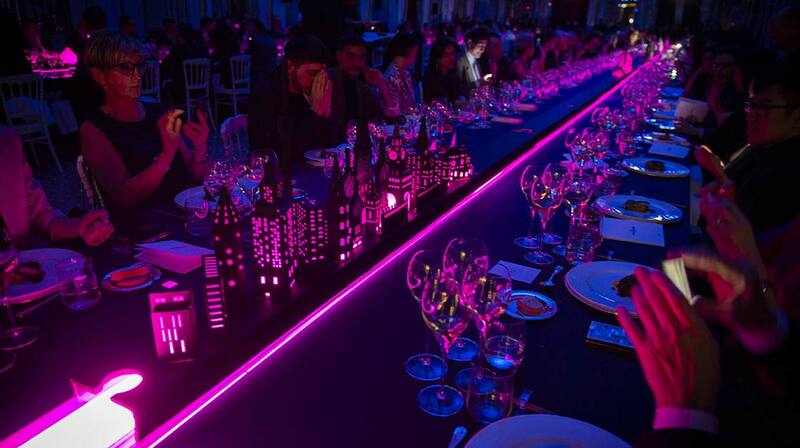 The 120 Year Anniversary Dinner was a night to remember for everyone sharing the table, and more – it marked a point in the story of a brand that continues to look forward, another 120 years. 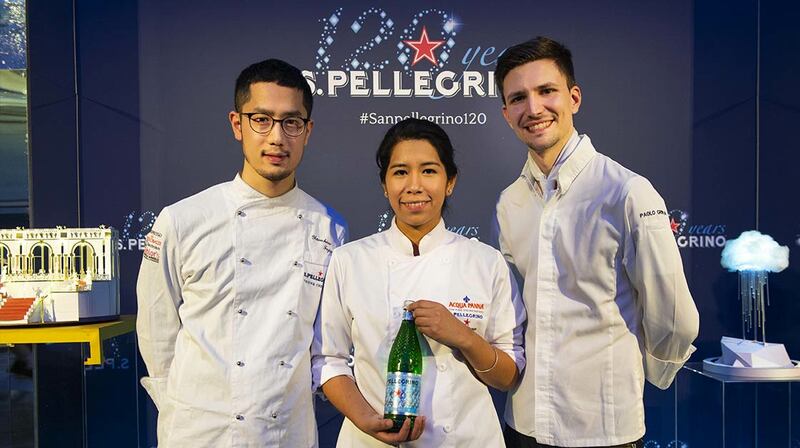 Read more about S.Pellegrino’s 120 Year Anniversary, the Limited Edition Bottles and S.Pellegrino’s belief in nurturing and supporting young culinary talent through S.Pellegrino Young Chef, and follow all the exciting developments in the world of gastronomy on S.Pellegrino’s Instagram and Facebook pages.